Feel as cool as a cucumber in the Short Sleeve Faux Wrap Floral Print Dress. You’ll love the flattering fit of this dress with its defined waistline and flared skirt. The cap sleeves will keep you cool in warmer weather as well as the light-weight fabric. 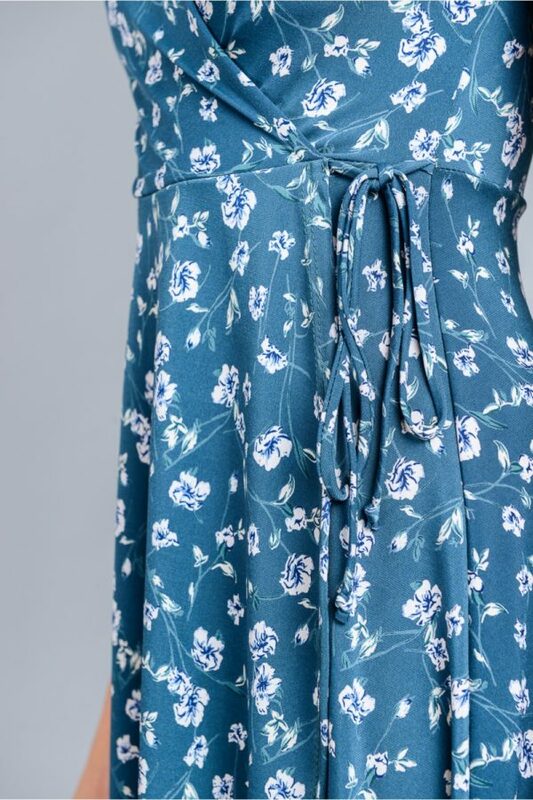 You’ll fall in love with the romantic vintage style of this dress as you enjoy cool spring days and warm summer afternoons. You can be the hit of the summer picnic with the light, airy fabric, and beautiful bloom print. You’ll love the tied-up side detail which is iconic to the wrap dress style. 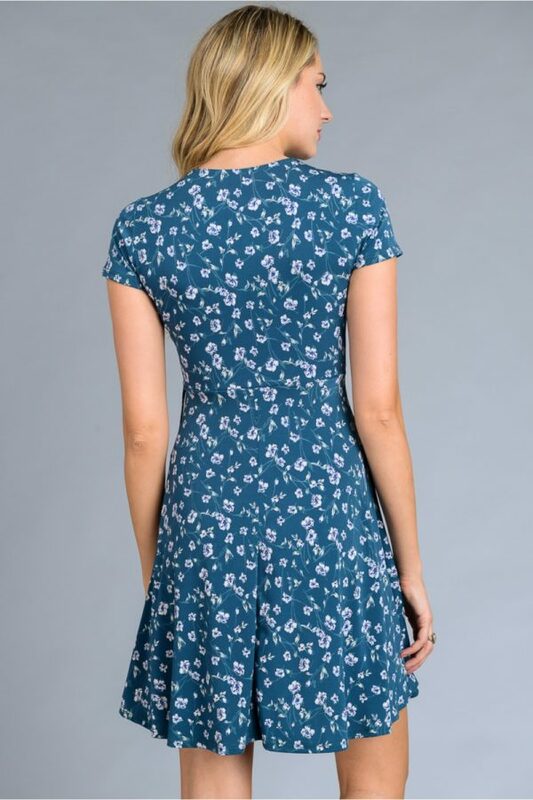 This dress is perfect for warm summer days and spring adventures. This easy wearing dress is casual enough to wear for outdoor activities or just hanging out with friends. When you find out how comfortable and easy it is to wear, you’ll want to put this dress into regular rotation in your wardrobe. Wear it with sandals or canvas tennis shoes for warmer weather, or with a pair of ankle-length booties for cooler weather. You can also pair this dress with a light cardigan for cooler days. Wear this dress with small understated jewelry like a short, thin necklace and a light bracelet or two. These blooms are not just for warmer weather. You can also convert this dress to a fall/winter look with the addition of a warmer cardigan, solid colored tights, boot socks and a pair of casual boots. Treat yourself to the effortless and timeless look of this dress. It’s sure to become the new staple of your wardrobe and a companion for many adventures to come! Feel free to reach out to us on our Instagram to share your adventures!